I will pick you up at any Montreal location of your choosing. 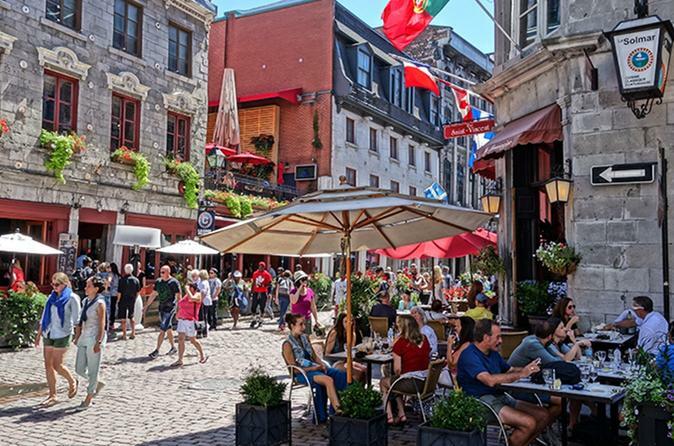 We will be traveling via car and take some walk according to your desires.. Tour includes Old Montreal with all highlights, downtown, Westmont with muklti millions dollar houses and Mont-Royal look out. In Montreal, you have to go through a special course and a test to have a guide permit from the city. I have my permit and will explain all our history on top of showing our beautiful city. Montreal has 4 million people and have a very low crime rate. Old Montreal was founded in 1642 and has all kinds of narrow streets and buildings dating all the way back from the 16 hundreds. American and Canadian film makers use Old Montreal a lot. One highlight is Notre-Dame Basilica. Then we head on to downtown and the part of it called ''Golden Square Mile''. We'll drive in front of McGill University, the Ritz Carton and the Fine Art Museum and very high end small boutiques. It's possible to stop to see more. Then we head up to Westmont where monster houses range from $3 to $10 millions dollars. Mont-Royal is a huge park in the middle of the city with a beautiful view of the East end of the city. I drive you back wherever you desire.